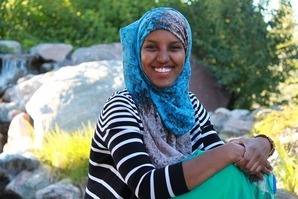 2016 Biology graduate Basra Osman was an active member of the Biology Department. She is currently pursuing a career in pediatrics. Faculty / Staff Positions. The Biology Department has two Visiting Assistant Professor job openings at this time, both starting in September 2019: one in Genetics and another in Plant Biology. Information on these, and other opportunities to join the Gustavus community, may be found at the Gustavus Job Openings site. Students may also wish to consider volunteering as a means of gaining valuable experience and discovering more about biology as a vocation. Contact individual professors to see if you can volunteer in their research labs, classrooms, or systematics collections. You can also email Scott Moeller to volunteer with the Linneaus Arboretum.